In this edition we're showcasing 3D models by Auroralight, Unilock, Berliner Seilfabrik Play Equipment Corporation, & Continental Building Products. . We've also gathered projects from Burke Playgrounds, Danver, Envirolok, LLC & Couturier Iron Craft. View and download the 3D model here. The HUL16 up-light utilizes our interchangeable LED module for brilliant LED performance. It also accepts standard MR16 halogen lamps for unmatched versatility. Storm Drain™ lensing prevents water from collecting on the lens surface, reducing cleaning and maintenance. Lacking a swivel, it is quick and easy to install and will hold its original aim for years. An ideal choice for up lighting trees, statuary and columns. 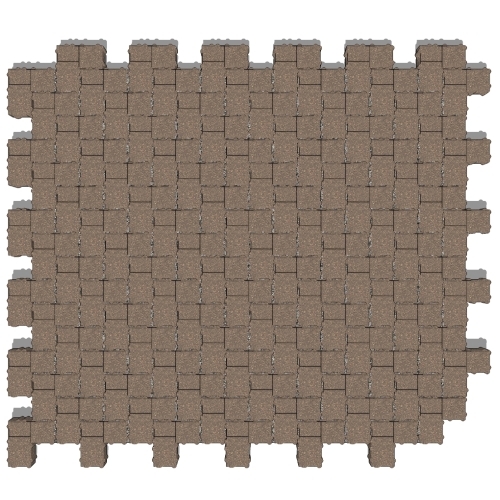 This paver has gained world-wide acceptance as the paver-of-choice for performance, and as an environmental solution for drainage. Only the patented “L” shaped design allows you to achieve a superior lock-up that can withstand even the heaviest of loads residentially and commercially. The innovative design creates small voids between the pavers providing drainage into the sub-base. The Cosmo.06 is the ultimate rope play structure among the Cosmo systems; rope elements are used consistently as add-ons. The banister rounds off the exciting features of this play structure. This transition room opens to the beautiful outdoor entertainment space. This Danver Stainless Outdoor Kitchen featured in a Toll Brothers home in San Ramon has Key West doors powder coated in 'Sudan Brown'. The kitchen features a sink, grill, and side burner so that a variety of cooking styles can be done. As a result of years of large storm events and continuous sedimentation, the existing drainage channel in Golden, Colorado lost its aesthetic appeal and was no longer functioning to move water and reduce potential flooding. Through collaboration with Envirolok West, the Urban Drainage and Flood Control District of Colorado was able to develop a solution that would handle the storm events, limit sedimentation and create a new focal feature for the residential neighborhood. Bringing challenge, resilience and imagination to the play space is the Level X, a sculptural play form inspired by the architecture of the world’s most famous bridges. Level X changes the shape of play, moving away from linear forms and into abstract, sweeping arches with dynamic shapes. Although the shape is non-traditional, the play value is higher than ever! Endless climbing paths, moving parts and mixed materials create maximum physical, social, sensory and tactile experiences for children of all abilities. From ground level, Level X looks like an exciting maze of path and ropes as bridges cross each other and add dimension. Adding an even higher level of engagement, bridges, ropes and discs move while children play on them and trigger reactive movement throughout other areas of the structure making each play experience unique. Multi-flight "v" Shaped Staircase with tempered glass and lighted handrails.